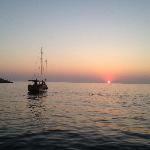 Turtles in the Bay - Kalkan: Luxury 4BR villa, private pool, terrace rooms with panoramic sea views ! 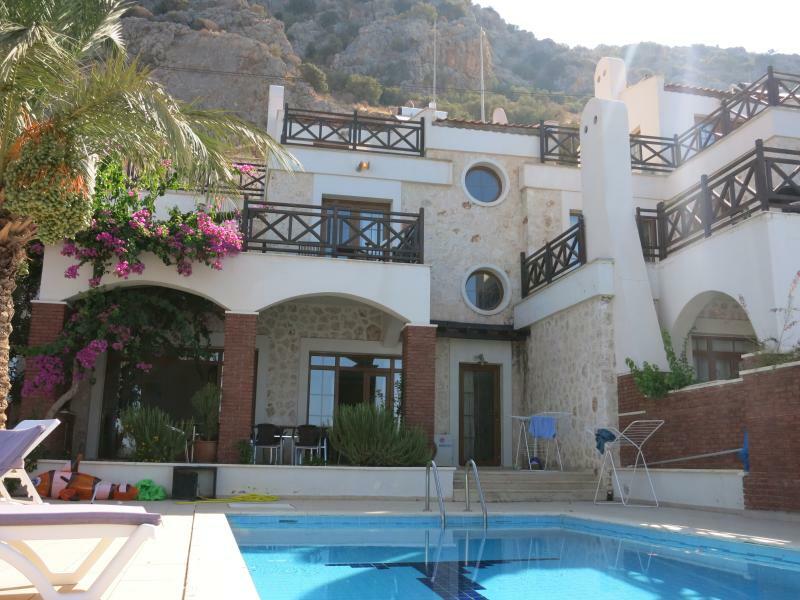 Kalkan: Luxury 4BR villa, private pool, terrace rooms with panoramic sea views ! Review of Kalkan: Luxury 4BR villa, private pool, terrace rooms with panoramic sea views ! 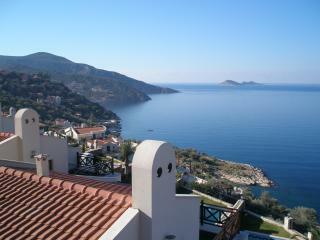 How many villas in Kalkan can boast such a wonderful location? We've just returned from another great week in this lovely villa, with the added bonus of seeing turtles in the sea below the villa - every day of our stay!! Another bonus this year, was the re-opening of the local supermarket which provides absolutely everything....and less than a five minute stroll from the villa!! We were also pleasantly surprised to find that a new family run restaurant, serving Turkish cuisine, had opened nearby (just before the supermarket) - all very delicious and well worth a visit. We are already making plans for our next visit to what we still consider is 'Simply the Best' villa in Kalkan. A lovely clean, modern house with private pool. We were a family of 5 (including a small baby) and stayed in this house with my sister's family (5 people also) and it worked very well. Travel cot and highchair were kindly provided. The owners (and their representative in Kalkan) were lovely and really helpful. Great views! Everything you would need in the kitchen was provided. We tended to walk to the centre of Kalkan when shopping at the supermarket or eating out and then either walked back or jumped in a cab (easily available) for the short journey home. 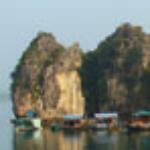 Liked best: Lovely spacious house with good sized rooms and the use of a private pool with great views. Liked least: Sometimes the chemicals in the pool seem to sting our skin, however this could well have been the result of the combination of very hot weather and sun cream, etc. Our concerns were dealt with quickly. We've stayed in various accommodation in Kalkan over the past 20 years and this villa is quite simply the best! The villa itself is superb, but what makes it so special is its location and the amazing views! Seriously, not a rooftop between you and the beautiful bay and harbour by day and the most spectacular sunsets followed by the lights of Kalkan and the occasional firework display by night. If you can bear to tear yourself away from this gorgeous villa and pool, it's an easy stroll into Kalkan with all its amenities. If you want to explore further afield there are loads of trips and activities on offer - visit our trusted friend Fahti at Al&Tu on the harbour front who will arrange anything for you. We generally fit in a visit to Meis (Greek island off Kas) - watch out for the turtles feeding in the harbour at lunchtime, enjoy one of the daily boat trips and take a dolmus to the golden sands of Patara. Closer to the villa is Palm Beach Club (go down track beside villa and look out for the steps down to the beach on your right) - here you will find sun beds & parasols, a restaurant with free WiFi (several of the restaurants in Kalkan offer this) plus a huge floating trampoline in the sea! Relax in one of their Ottoman platforms overlooking the bay & water sport activities and enjoy a platter of meze with a beer - perfect. Our favourite restaurant in Kalkan is the Ali Baba near the Post Office - it's basic, but serves the most delicious Turkish food - you go to the back of the restaurant and choose from the selection of mouthwatering dishes. One evening we nipped down and brought back some of their tasty vegetable dishes to accompany our BBQ at the villa - excellent idea! For a more sophisticated restaurant try the Aubergine down by the harbour. Thanks to Maria and her team in Kalkan we have found our perfect villa and have already booked for 2015! Our family of 8 enjoyed a wonderfully relaxing stay in August 2013. The house is well designed with rooms on 3 levels and common areas that open to the pool. We were 6 adults and 2 kids, so the multiple levels helped with noise and privacy. All the adults had their own large rooms and bathrooms, all with gorgeous views of the sea by day and the city lights at night. The house is clean and updated, had sufficient indoor and outdoor seating, and the kitchen was stocked well enough for us to cook several meals at home . This house is located at the beginning of the development closest to town, which means we only had neighbors on one side and the views were unobstructed by other condos. We stayed in Kalkan during the end of Ramadan, so we had perfect seats for the the celebratory city lights and fireworks at night. The walk to town was easy and it was nice to have the option of being either in the mix of the city celebrations, or the quiet of rental. Loved Kalkan, loved the sea, loved the condo! This is a fantastic villa, very spacious and comfortable, just a few minutes walk into town and it has the most amazing view ever. This was our second stay here and will be booking again for next year. It is a super great value as it has 4 bedrooms and can sleep up to 8 people very comfortably. Each room has a attached balcony and at least one bathroom on each floor. The villa has a nice unblocked view of the sea and a private pool where you can take a dip and enjoy the sunset at the same time. It is very maintained and clean. 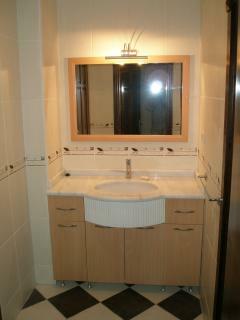 Kitchen is equipped with cooking utensils, oven,cutlery sets, dish washer etc so it is easy to do so your own cooking. There is also charcoal pit/ stove which we used to for a couple of BBQ dinners. On the first day, we walked down to the beach and the beach is right next to a restaurant where you can grab a beer and chill in the shade. The supermarkets are also walking distance from the villa too, you can get fresh food / groceries. (try the local figs, they are yummy and cheap). There are lots of activities you can do around Kalkan and you can easily draw up a full itinerary for 1-2 weeks. We visited Salikent, Patara beach, Meis island (Greece), Yakapark restaurant, Tlos, Xanthos, Oludeniz..
For food lovers, there are plenty of nice restaurants in the Kalkan Village, I just couldn't get enough of the turkish food! If i return to Kalkan again, Olympos Villa Turquoise is definitely my top choice for accommodation!! Patio terraces for each bedroom to enjoy morning coffees or cool nightcaps. Fire up a Turkish coffee and relax on the shaded patio outside. Cool down in the pool after a hike from the city shops. Meander down to the nearby Beach Club for a shady chair, and swim out to the water trampoline and rafts. Cook kebabs and veggies on the grill, or walk 10 minutes to the main strip of the little city for dinner and drinks. Use your rental car to visit nearby ruins at Xanthos, Saklikent Canyon, Patara Beach, and Tlos ruins. Rent an evening or morning boat tour from the marina, which includes lunch/dinner, and diving into the blue water. 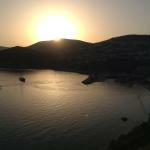 Looking for a place to stay in Kalkan?